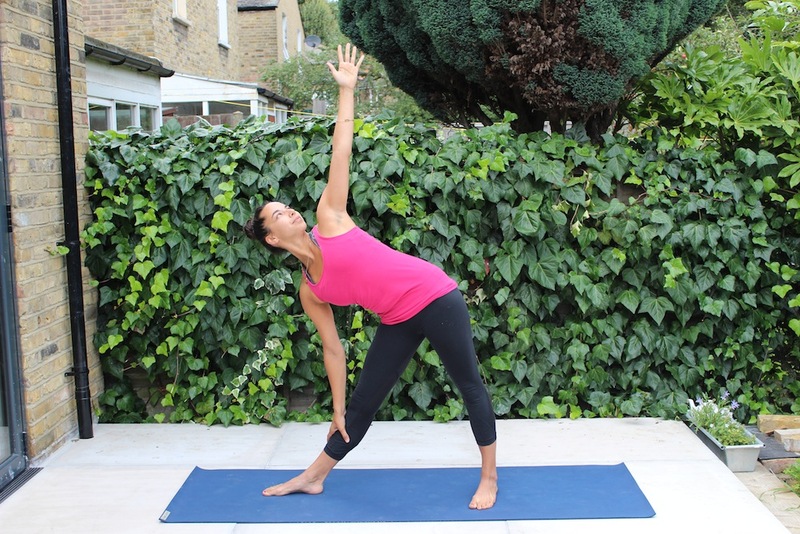 Leyla Rees is a London-based yoga teacher and co-runs Day Retreats London, offering one-day courses with a combination of yoga, pilates, breath-work and meditation. Here, she discusses reconnecting with your body post-birth, working the pelvic floor and some postnatal yoga exercises that are safe for the postpartum period. “You can start exercising six weeks after giving birth, as long as you’ve had a check with the doctor and been given the thumbs up. If you’ve had a c-section it might be a bit longer (12/13 weeks). You still have relaxin in your body, so for the first three months, your body is actually similar to its prenatal state, though it varies from person to person. Therefore, it’s important to be careful with wide lunges. A yoga teacher will be able to check if your abdominal muscles have gone back into place – if they haven’t, you’ll just need to focus on breathing until they are intact. Lying your on back is now fine. It’s good to connect with your body again – connect your pelvic floor, bring it back to life. Lie on your back and touch your ribs, send the breath in there, as it might have been lost during the later stages of pregnancy. Back bending has to be carefully done, as it engages stomach, which might be slipped. Also, your balance shifts during pregnancy to support an expanding stomach, so be mindful of this. You should be aiming for yoga to be a regular part of your life. This will bring greater benefits. It will also mean that you’re not learning moves, just adjusting them and reconnecting after giving birth. Lying on your back, where can i buy levitra knees in parallel, feet on the floor, cushion between your legs. 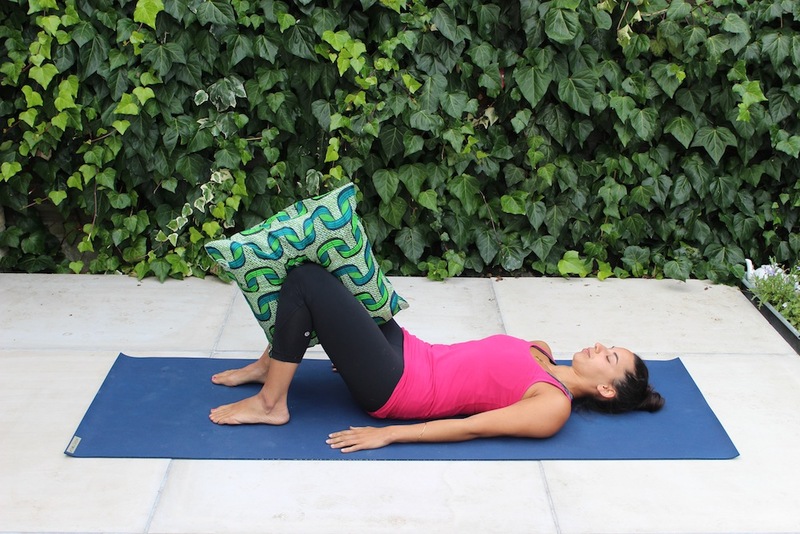 Inhale to prepare, exhale and squeeze up pelvic floor, bring your knees in to squeeze cushion a bit. Repeat. You might like to try exhaling for 10 seconds – holding pelvic floor in – then inhaling for 10 seconds as you relax – repeat 10 times. Then a series of quick ones: inhale for one, exhale – squeezing pelvic floor – for one. Repeat 10 times. Small stride apart, just over hip distance. Feet turned out 45 degrees, check knees are in-line with toes as you bend knees. Inhale as you bend, exhale and squeeze pelvic floor to come up. Spread fingers wide and squeeze shoulder blades together. Repeat 10 times. On all fours: shoulders and wrists in-line, knees and hips in-line. Exhale as you tuck your chin in, round your spine and look towards your belly button, and hold. Inhale to reverse into cow, push collar bone forward, let belly drop to the earth. Move between the two positions. Wide stride apart, front foot in line with front of mat, front foot heel in line with middle of back foot, which is turned out 90 degrees. 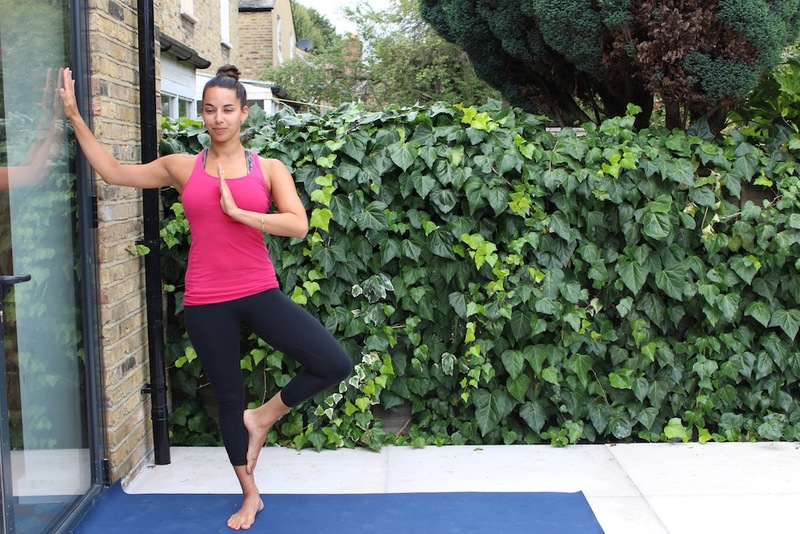 Inhale and lift both arms up to shoulder height. Reach front finger tips forward, exhale bringing front hand down to thigh, top arm reaches up. Inhale to lengthen up through top fingertips, exhale – spiral your gaze up to the top hand. Stay and breath. 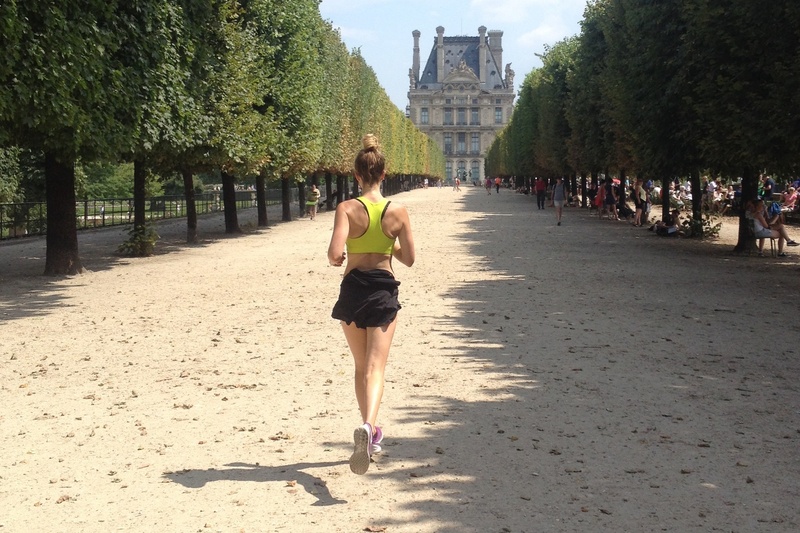 Exhale, look down at front foot, inhale to come back up to standing, arms shoulder height. Repeat on the other side. Find a wall. Place right hand on wall, right leg is supporting leg. Take left foot and lift off ground 45 degrees, connecting sole to side of calf. Find balance, keep gaze fixed, take hand to middle of chest. Hold for 10 breaths. To exit: inhale, knee comes forward, exhale to lower left foot down. Turn around and switch sides. Posted in Mornings and tagged exercise, postnatal, yoga. Bookmark the permalink.